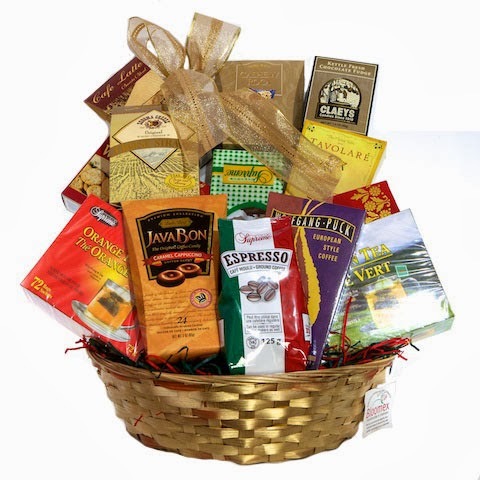 What could be better for the coffee lover in your life then to be surprised with a gift basket chock full of 'joe,' and accompanying treats? If you're looking to send coffee in Canada, Bloomex is the best option around. 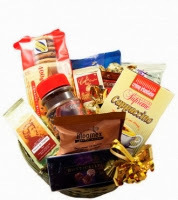 Coffee makes for a unique gift, stays fresh through delivery and is a product that the recipient will undoubtedly make good use of. Many of these arrangements include lots of delectable snacks and treats. With so many options, you might want to even treat yourself! Check out some of our coffee gift baskets, with links to their product pages on bloomex.ca. Click on the products' names to check out the details. 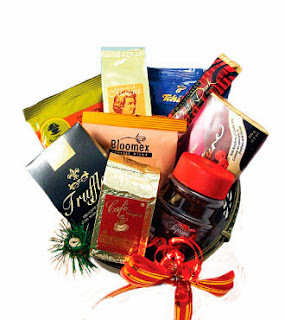 A thoughtful assortment that won't break the bank but will definitely bring some morning joy. A similar assortment to the above arrangement but includes some Truffle Chocolates and Cappuccino. What an awesome assortment of products, all for less than 50 bucks. 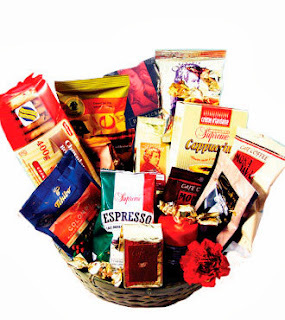 Napoleon Coffee, Assorted Flavoured Colombian Coffee, Private Brand Bloomex Coffee, Cappucino Coffee, Extra Large Cappucino Coffee pack, Instant Colombian Coffee, Italian Expresso Coffee, Assorted Sampler Chocolate, Chocolate Chip Cookies and Extra Large Pack of Ground Colombian Coffee. A mix of treats that will have the joy delivered right to the recipients' front door. Hey, we've all got our vices. 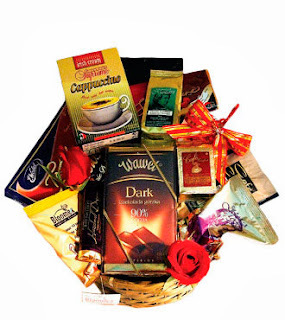 And if coffee and chocolate are some of your special someone's they'll be absolutely thrilled to receive this incredible assortment.